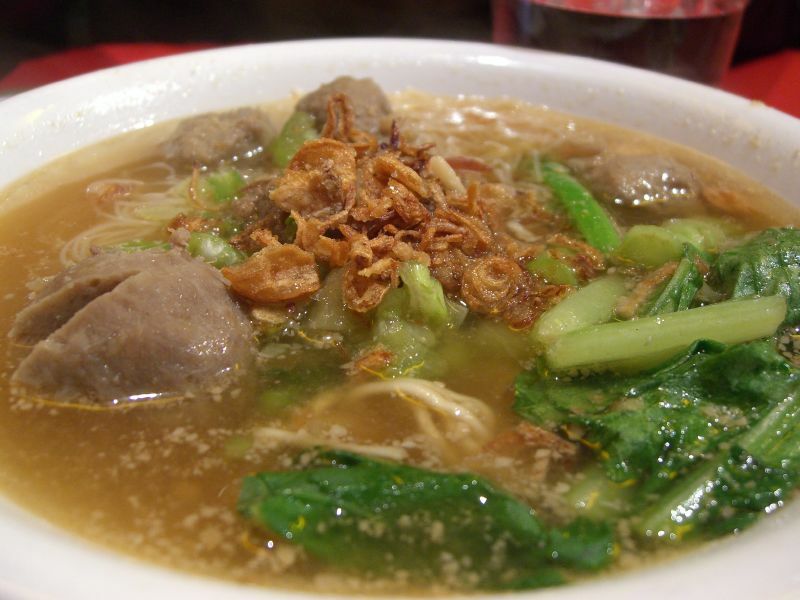 Bakso is the name of meatballs in Indonesia. They are usually served in a bowl, like soup, with noodles, beancurds (tofu), eggs, 'siomay'/steamed meat dumpling, and crispy wonton. It has a consistent homogeneous texture, and spices to it. Left: Indonesian bakso noodle soup.